The location suited our needs and the staff member on reception the following morning was very friendly and helpful. Excellent staff, very accommodating lovely stay all round. Easy access, affordable with the amenities you would expect. Located near to a lot of food outlets and entertainment. It was a basic overnight stay - it was very convenient to lots of different restaurants. Lovely staff. We were compensated due to the rowdy guests keeping us awake all night. The b fast as ok The lunch servise as v poor ,The food steak as poor. Great location. So many restaurants to choose from. Staff were considerate and took into account my special request. Th bed was very comfortable. They were always happy to help and room service was available. 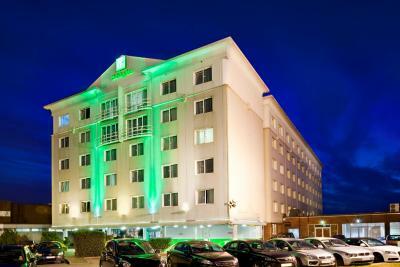 Holiday Inn Basildon This rating is a reflection of how the property compares to the industry standard when it comes to price, facilities and services available. It's based on a self-evaluation by the property. Use this rating to help choose your stay! 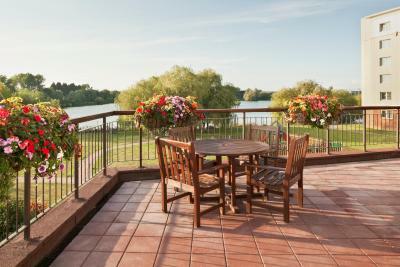 One of our top picks in Basildon.Overlooking a garden and lake, Holiday Inn Basildon offers air-conditioned rooms 2 mi from Basildon town center with free parking. Located beside Festival Leisure Park this hotel is 14 mi from Lakeside Shopping Center. Free WiFi is available throughout. 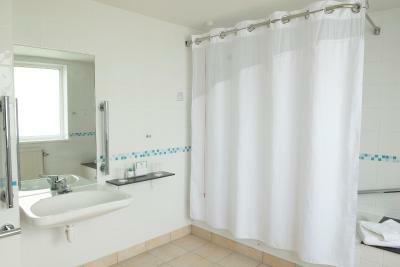 All rooms feature a flat-screen TV with cable channels, private bathroom and tea/coffee making facilities. Extras include a seating area, free toiletries and a desk.Some rooms have bathrobes and slippers. Meals are served throughout the day in the bar and lounge area and 24-hour room service is available. A buffet breakfast including continental and cooked items is served every morning. 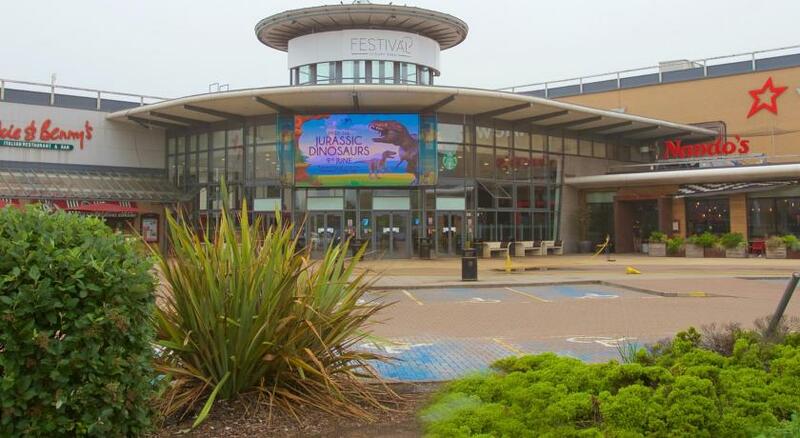 Festival Leisure Park has restaurants, nightclubs and leisure activities. The hotel is a 20-minute journey from Southend Airport and 1.1 mi from the Ford Motor Company Research Center. When would you like to stay at Holiday Inn Basildon? This air-conditioned room features an private bathroom, TV with on-demand movies and tea/coffee making facilities. 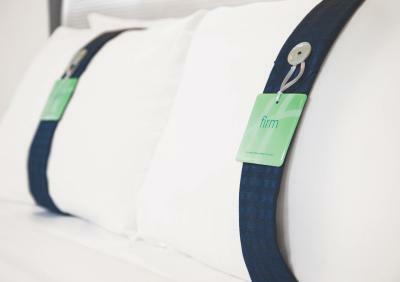 Special touches include bathrobes and slippers, high-speed internet, a work desk, and luxury toiletries in the bathroom. This air-conditioned room includes bathrobes, slippers, and a mini-bar. Guests can also enjoy high-speed Internet and a spacious work desk. 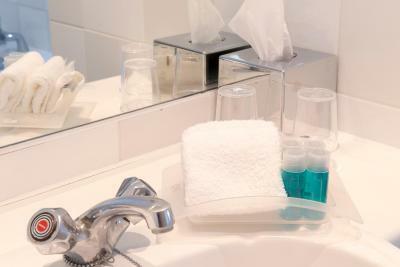 The room also offers luxury complimentary toiletries. 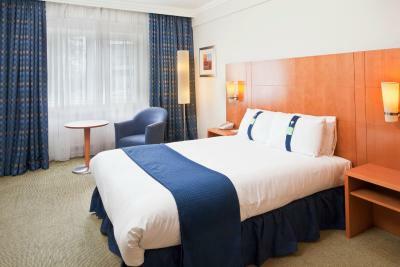 The Holiday Inn Basildon as a total of 148 bedrooms and vast conference and banquetting facilities. We have our own bar and lounge area with meals available all day. The grounds of the hotel are very picturesque and perfect for a relaxing stay. House Rules Holiday Inn Basildon takes special requests – add in the next step! Holiday Inn Basildon accepts these cards and reserves the right to temporarily hold an amount prior to arrival. The room was cold but it soon warmed up when we turned the radiator in the room on. Unfortunately the towel rail didn’t warm up at all. There was an incident while checking in and filling the necessary forms at main reception desks. Somebody has intentionally thrown food on my coat. Later i have been told they are travellers; it seems they were harassing other clients too, however left sitting undisturbed inside the hotel area. Since this has happened inside the hotel i hold them responsible for not keeping the situation under control. This has ruined my evening there. They offered an apology and a drink, obviously not good enough. I stayed in the hotel for the evening and cancelled my plans since it did not feel safe to walk around. The temperature in the bar area was luke warm. The Heating in my room (006) did not come on in the morning which meant the room was freezing cold. There was no hot water in the bathroom which meant i had to have a shave in cold water, the last time i had to do that was in the Army on training in the woods !! There was no hot water for a shower either so i ended up boiling a kettle of water to have a wash in the sink, the last time i did that was in the 1970's !!! The Breakfast was much the same as the room (006) cold ! When I booked I paid 75.00, the price of the room at the time was advertised as 59.00 I therefore paid the 75.00 as it said it included breakfast,. When I arrive the staff point out that breakfast is not included and so I wonder why bother paying the higher rate? This is the second time I have had this problem with Booking.com so do not expect me to book again in the future. Service in The bar was a bit slow as there were a couple of large functions on. The main doors to the hotel and doors to the garden open directly from the bar area and when the weather is cold it is very draught in that area. The beds were very comfortable and the meal in the bar was good. We have always found the staff ti be friendly and professional. We asked for an upstairs room but we put on the ground floor room. However we had a good lake view.